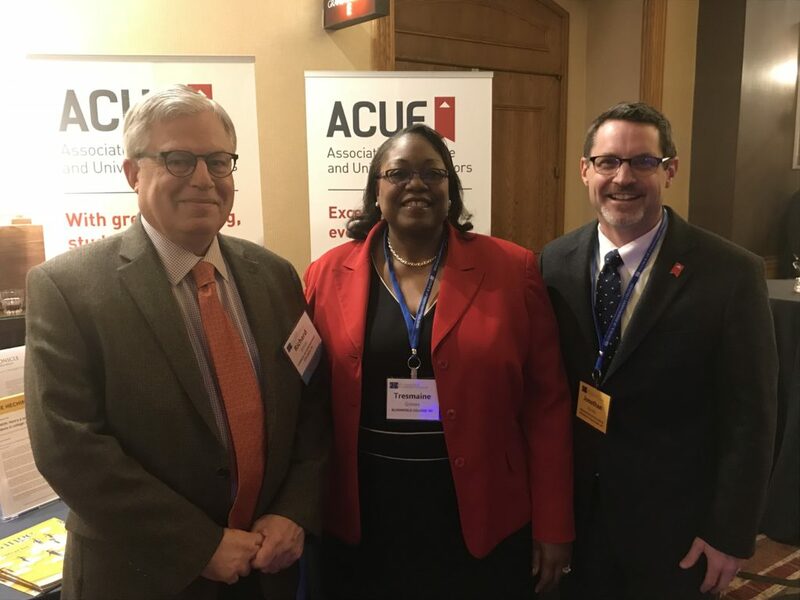 Earlier this month, ACUE joined the Council of Independent Colleges for its fall institute, which brought together chief academic, financial, and enrollment officers to explore the intertwined issues of recruitment, retention, and completion through quality education, and the associated and positive impact on an institution’s finances. The three-day convening of over 600 leaders opened with a powerful call to action from Roger Ferguson, president and chief executive officer of TIAA-CREF. Ferguson, who co-chaired the commission that produced The Future of Undergraduate Education, The Future of America for the American Academy of Arts and Sciences, spoke about the imperative to deliver a quality college education and help many more students earn a degree. In revisiting many of the Commission’s major findings, which ACUE discussed last year with Ferguson’s co-chair, Michael McPherson, he emphasized the impact of college completion on our nation’s economic and social prosperity. In an endorsement of the work of faculty and good teaching, Ferguson also noted, in response to a question about educational technology, that technology should free educators’ “relative strength” to do the work that only educators can do: promote empathy and foster communication, enhance teamwork, provide historical context, and deepen compassion and critical thinking. We could not agree more! We were also inspired by an address from Marcia Chatelain, the provost’s distinguished associate professor of history and African American studies at Georgetown University. By intertwining her personal story and how attending the University of Missouri “rewrote her family history” with an examination of the major political, social, and educational events of 1968, Chatelain demonstrated the “power of diverse voices” to take higher education forward. Case by case, she argued that we can better serve the nation, demonstrate our value, and serve as a force for upward mobility by constructing opportunities to hear and heed the voices of students who are veterans, activists, first generation, low income, athletes, and others, as well as the voices of college and university employees. In doing so, we model the deliberative society, with conversations “in pursuit of truth and accountability” that students will enter and can inform. One of the more famous critiques of our democracy is that the pluralist chorus “sings with an upper-class accent” (E.E. Schattschneider), and Chatelain’s refrain to embrace more voices was clear. Members of the ACUE and CIC inaugural Consortium for Instructional Excellence and Career Guidance also met over lunch to discuss our work to date. 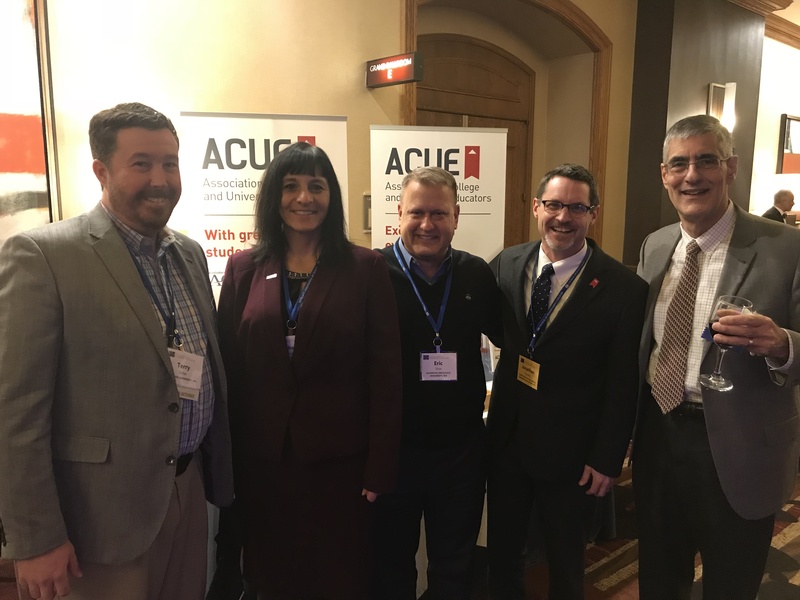 At present, over 550 faculty across the Consortium are earning their ACUE credential in effective college instruction with a concentration in career guidance. CIC President Richard Ekman and Vice President David Brailow shared their impressions of how well the program is going, and we were delighted to be joined by Paul De Giusti from Strada Education Network, which provided generous support to form the Consortium. I also delivered brief remarks (below) on how so much of what we seek to do to improve higher education happens at the “locus of change” between faculty and students, that moments of powerful teaching and learning is when higher education’s very value is created, and that one of the most important things we can do is to prepare and equip our faculty to make the meaningful connections with students that help to build community and make sense of the many issues we all face. ACUE congratulates CIC on a successful conference and is honored to be CIC’s partner in such important work. “Thank you and good afternoon. ACUE is delighted to be working with CIC and to receive such generous support from Strada Education Network. Most importantly, we’re very grateful for the opportunity to work with all of the members of our CIC Consortium for Instructional Excellence and Career Guidance and for the trust that you’ve placed in ACUE to work with your faculty. We don’t take that trust lightly. “My colleague Melissa Zantello is going to provide you with a report on the progress of the Consortium, and I think you’ll be pleased by the early data and findings. So instead, I thought I would share three very brief observations from some of the discussions and sessions we’ve heard over the past few days here at the CIC conference, and how I believe our work together is relevant. “First, it strikes me that, as an enterprise, higher education is very good at describing ‘what’ we need to do, and want and should do, to see our institutions and students succeed, be it described as a new ‘initiative’ or a new ‘center’ or the like. And we’re pretty good at ‘how’ we might go about doing these things. But often, I find that these discussions are rarely framed in terms of the ‘who’—as in who will ultimately bring these efforts to life. We know our students spend more time with faculty than with any other college professional. We also know that this time is our best, sometimes only, opportunity to make a difference. 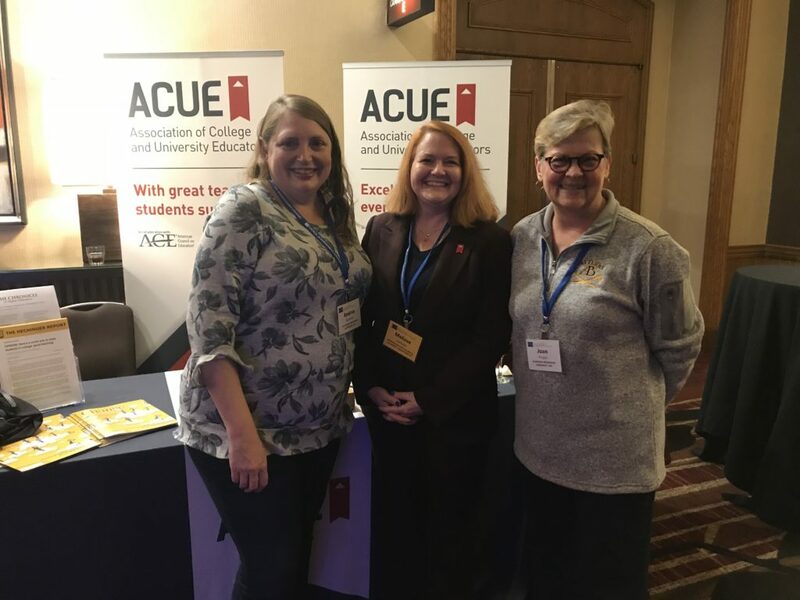 The joy I find in ACUE’s work, and the joy of our work together with you through this Consortium, is our ability to really zero in on those moments between students and faculty, to make them as meaningful and powerful as they possibly can be—to make the change we seek. “Second, there’s been a lot of discussion—a lot of concern—over the past few days about ‘communicating higher education’s value,’ given polls and findings that our value is misunderstood and underappreciated. But as I listen to these calls, I worry about an implication that we all need to have marketing and public relations strategies and communications plans. There is certainly a place for this work, but it feels a little top down. Now I’ll admit it might be the former community organizer in me, but at ACUE we take a bottom-up view. We believe that every time students and faculty are learning together and having a powerful experience together—that’s the very moment when we’re creating value. And as these students are retained and graduate in numbers higher than might otherwise have been the case because of the power of great teaching and learning, we’re sending into the world ambassadors and champions of our value, in ways that I think are more authentic, in discussions with family and friends and their community, than even the best marketing campaign can achieve.